I Got Up at 10:36, 22 Set. (September). 1968. Ink, postage stamp, and off-set printed sticker on readymade postcard printed on both sides. 3 3/8 x 5 3/8”. 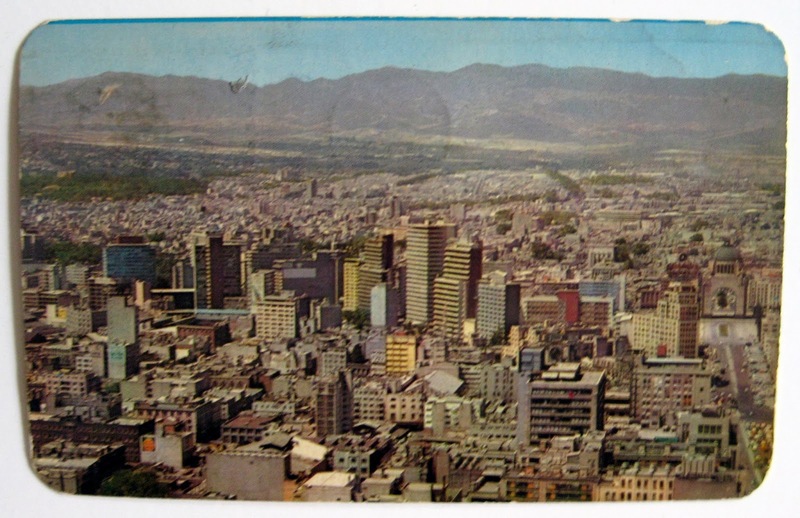 Rubberstamped, postmarked and sent through the mail from Mexico City to New York. 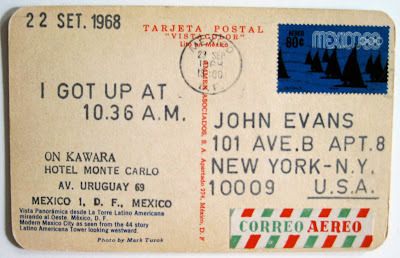 On Kawara began the series, I Got Up in May, 1968 in Mexico City and continued through 1979. Wherever he happened to be, the artist purchased and mailed two photographic postcards daily onto which he rubberstamped his location (also depicted on the postcard’s verso), the recipient’s location, and the specific time that the artist “got up” each morning. 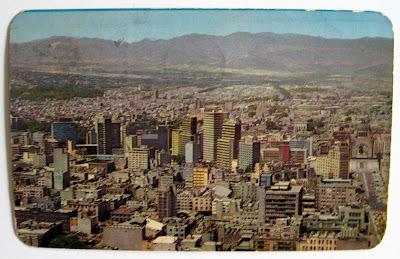 This work picturing Mexico City on the recto, dates from September 22nd, 1968, identifying this as one of the first works in the I Got Up sequence. Addressed to fellow artist, John Evans (1932-2012), a leading initiator of mail art, the association poignantly magnifies Kawara’s intimate interest in simple, re-duplicative registrations of the floating world.